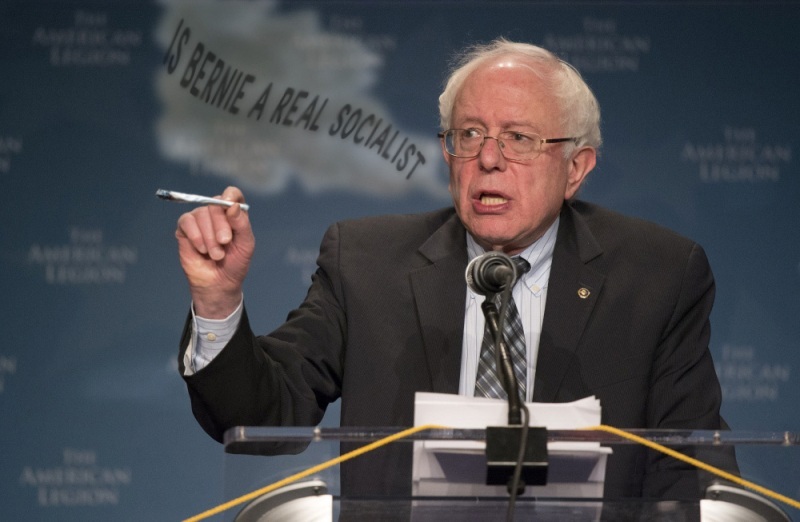 Is Bernie a True Socialist? Bernie is similar to FDR…..when he gets in, even with the great odds of Wall Street and Congress stacked against him, he will carry the day and start to tilt the table towards the “common man”. Work for him, and donate often. OK, What the hell is a “true” socialist?? He is miles ahead of everybody else in the race and says it like it is. Should we have to settle for the same old crap or is this fresh air what we yearn for? I say YES to the latter and NO to the first part! He raises all the points that I feel way down deep. There is no label that will do him justice and I am proud that he is telling the whole truth, for that is sorely missing in all other politicians on any slate. Go Bern, win or lose you have my support and admiration. Your gumption and passion are a welcome change that all others should embrace and emulate. If you believe Sanders is ahead in the race, you haven’t seen the latest (or any) polls. Clinton is so far ahead of Sanders, there’s no way she won’t be the democratic candidate facing off against Trump next year. Sanders is down by at least 20 percent, Clinton has a huge lead. And no, I don’t think Sanders is a “true” socialist. I think he’s in it for himself like every other politician. I think the only candidate that truly wants to do what is best for this country is someone who’s lost hundreds of millions of dollars of his own money for his campaign, not a politician, but a business man, Donald Trump. With his consistent lead in the polls since the very beginning, I’ll be surprised if Trump doesn’t win. Chris April 22, 2019 at 7:40 pm on Abbott Street Market Applies for ‘Tasting Room’Why? Doug Blackwood April 22, 2019 at 7:01 pm on Abbott Street Market Applies for ‘Tasting Room’NO-NO AND NO! OB Mercy April 22, 2019 at 5:20 pm on ‘Why I Started the Ocean Beach Neighborhood Watch ‘Bobo agree with all you said. And I love that you know how to use a period. Lol.